Do you have a property that you need to sell fast, but are unsure about how find a reputable cash home buyer in Atlanta? So that you avoid home investor Atlanta scams, this article will walk you through the disadvantages of working with a cash home buyer in Atlanta, the advantages, and how to find a trustworthy company. You have options when it comes to selling your house fast in Atlanta. You can sell use a traditional real estate agent to sell to a buyer, you can go the “for sale by owner” route and sell directly to a traditional buyer, or you can sell your house for cash to a real estate investor. There are advantages and disadvantages to each. But if you’re thinking of selling to a home investor in Atlanta, here’s the one key disadvantage you should know. Fortunately, there ARE investors in the Atlanta metro area who do have the skills, knowledge, and experience to help you, regardless of your situation and no matter how complicated it is. Start by looking for the investor’s website. Do they have one? What information is on there? Are you talking to an individual investor or is there a full staff at the ready to work with you? Is the website helpful? Does it give you valuable information? Do you find testimonials, reviews or case studies that illustrate their experience? Look for Google Reviews by searching for their company online. These are real people leaving real reviews. If you don’t find any, or they only have one, you may want to reconsider working with them. Then, call their office and ask questions. Is the person with whom you’re speaking respectfully of your time? Does he sound like he knows what he’s talking about? Ask about the process and how the company works with you. You should be able to get a no-obligation offer. You can learn a lot about an investor with these three steps alone. Consider Breyer Home Buyers, for example. You are welcome to click around our site and learn more about us. Then call us at (770) 744-0724 to ask our team questions and get your fast and fair no-obligation offer. When you’re planning to sell your house in Atlanta, you probably first think of listing your home with a Realtor who will help you put it on the market. But this method can be time-consuming and more expensive than you realize. Fortunately, it isn’t your only option. Instead, consider selling to a home investor in Atlanta. You may have to make necessary improvements, investing money in repairs and sprucing up the property’s curb appeal. Your home may languish on the market for months while you’re still paying for your mortgage, utilities, and home insurance. When you do get an offer, your prospective buyer is unlikely to pay your full asking price. He or she will likely ask for an inspection or demand that you make further repairs or improvements. After all this, the deal can still fall through if the buyer experiences financing issues. 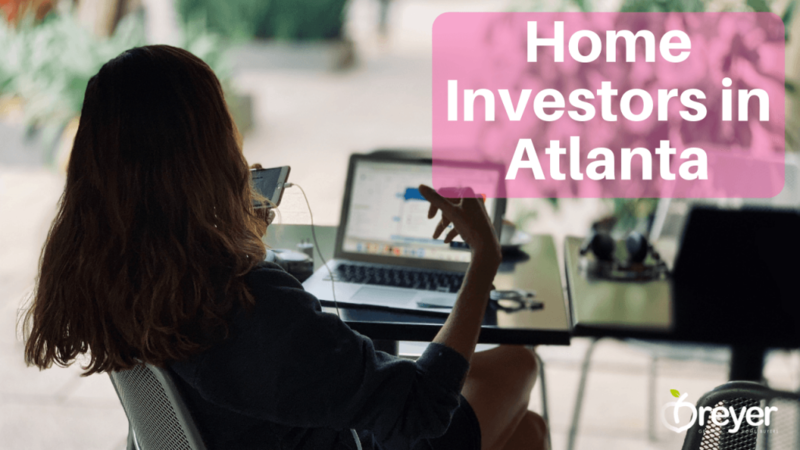 Selling your home to an investor in Atlanta may not be an option you’re very familiar with, but it is definitely one worth considering, especially if you’re looking to sell your house fast. But there are other advantages, too, that make selling to an investor a great choice. Listing a home with a realtor can be a time-consuming process. Your home may be marketed through advertising and open houses, with an average listing agreement of 6 months. Once you finally find a prospective buyer, he or she will probably have to qualify for financing, which can create further delay or even cause the deal to fall through. Buyers also often make the sale contingent on your home passing an elaborate inspection – which is not always guaranteed, especially if you have a fixer-upper or an older home on your hands. Breyer Home Buyers is ready to buy with cash and close the deal right away. This can be quite the advantage, especially if you’re in a situation where you need to sell fast. We present you with a no-obligation cash offer for your house within 24 hours, and in many cases, sellers walk away with money in the bank only a few days later. Breyer Home Buyers will buy your home as-is, in any condition, so you don’t have to spend the time and money on improvements. If repairs are needed, we adjust the purchase price accordingly and take care of getting them done after the sale is complete. At Breyer Home Buyers, we never charge any hidden fees or commissions. Period. If you’re behind on your mortgage payments and your lender is threatening to foreclose on your property, you’re in a stressful situation. 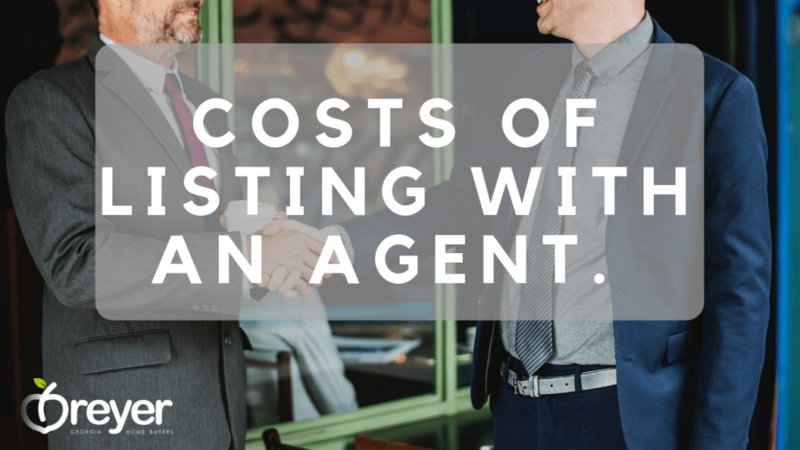 Sometimes it is possible to negotiate more favorable loan terms with your lender in hopes this will ease the financial burden and you’ll be able to keep the house. 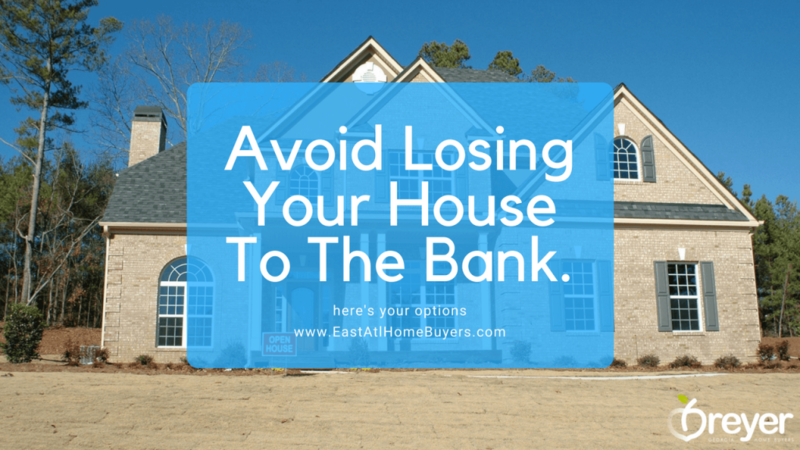 A loan modification may not be approved, however, and by the time your lender makes this decision, you’ll be even further behind on your mortgage, which in turn increases your risk of foreclosure. Selling your home to Breyer Home Buyers could help you avoid foreclosure and give you the cash you need to move on. If you’ve inherited a house and already have a home of your own, you may find yourself needing to sell. If the house remains unoccupied, it can be harder to ensure and be vulnerable to theft, vandalism, or damage due to lack of maintenance. This, in turn, may result in depreciation and make the house more difficult to sell when you’re ready. We can buy your home and even arrange for a moving company to help you clear out the house. If you want to leave everything in the house and take only what you want, you can do too. Breyer Home Buyers can also assist you in navigating the legal process if you’ve inherited the house without a will and are working through title, lien or tax issues. We have great partnerships with local attorneys to help serve our clients better. When you sell your house to Breyer Home Buyers, we take care of the nitty-gritty for you. Because we purchase the property as-is, you won’t have to lift a finger unless you want to. You’ll save time and the cost of paying a cleaning service to do the dirty work. Simply take what you’d like to keep, and leave the rest for us to dispose of. Whether you’re dealing with your own home or are faced with sorting through a deceased loved one’s years of accumulation, we make selling your house easy. 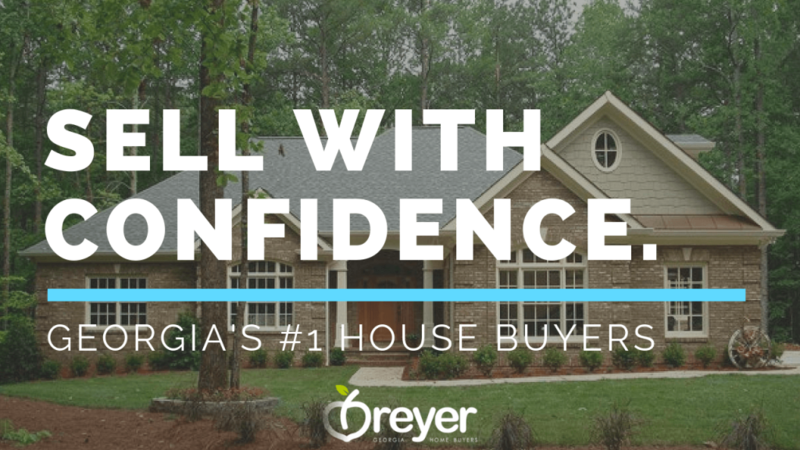 Contact Breyer Home Buyers if you are interested in selling to a home investor in Atlanta today and we’ll assess your house within 24 hours. You could receive the fairest cash offer possible on the spot and close within as little as 14 days. We’re a local, reputable company with experienced employees who will gladly answer any questions you may have. Fill out the form below or give us a call today to get a cash offer on your house.